Africa is seeing a growing interest in natural skin and haircare products, utilising indigenous ingredients and demonstrating an ethical and more environmentally friendly approach to production. South African based Nyla Naturals is the brainchild of founder Thokozile Mangwiro, who is taking the renowned native Marula oil and using its natural properties to create a whole new product range that is both sustainable and specially formulated to care for African women’s skin and hair. LoA connected with Thokozile as part of our focus on wellness and beauty month to find out more about this exciting company and brand. "Our mission is to produce base products that are natural, nourishing, healing and pamper hair and skin of all types." 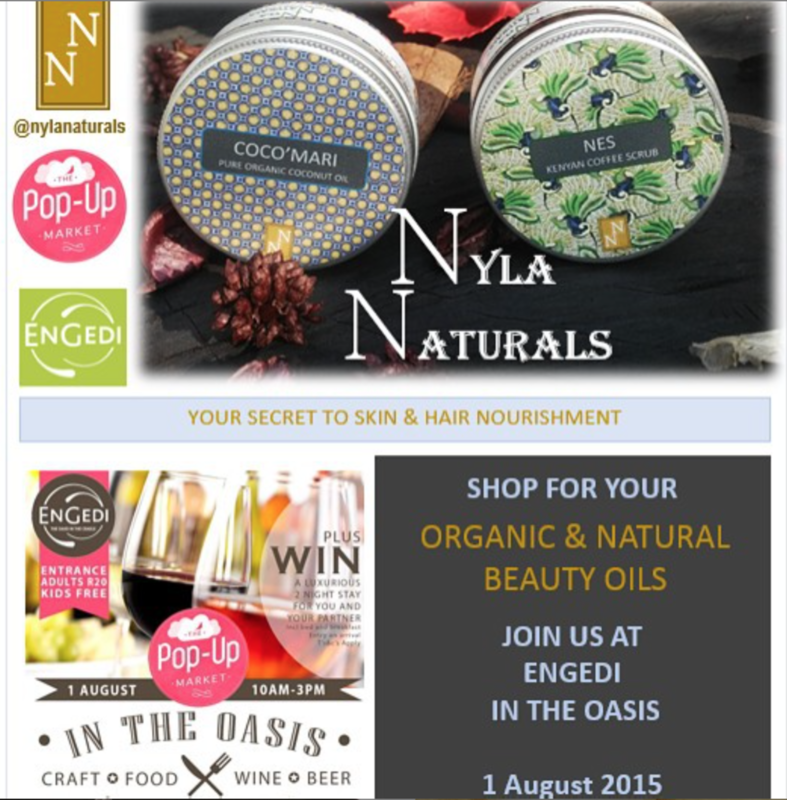 Nyla Naturals is a South African company that is focused on manufacturing personal hair and skin care products. Our 100% natural cosmetic products use a fusion of natural ingredients with premium oils, such as the Southern African indigenous Marula oil for skin and hair nourishment. Being pure and natural, the products are formulated to deeply care for skin and hair with minimal side effects. They are chemical free, never tested on animals, and because of the premium oils we use, are of the highest quality. Our products are crafted in small batches to ensure the freshness and uniqueness of each product. The greatest efforts are taken to make sure that batch quality is maintained at certifiable standards at all times. Furthermore, we only use ingredients that come from sustainable sources, in recyclable packaging, therefore ensuring products that are environmentally friendly. African natural hair has been misunderstood for decades, and therefore has been treated with harsh chemicals to manage and grow it. Unfortunately these harsh chemicals that we have been accustomed to have had a negative impact on our hair (breakage, damage, lack of moisture). “Although comprehensive research is ongoing, many of these chemicals are believed to be linked to reproductive effects and birth defects, breast cancer, heart disease, cognitive disorders, premature puberty and altered immune function, to name a few. Some chemicals found in common Black hair products such as straighteners/relaxers (perms), detanglers, colorants, shampoos and conditioners include (Estrogen and endocrine-disrupting chemicals or EDCs) Sodium Hydroxide (Lye) and Calcium Hydroxide (No Lye) Diazolidinyl Urea DMDM Hydantoin Propylene Glycol Diethanolamine Monoethanolamine Triethanolamine Sodium Lauryl Sulfate or Sodium Laureth Sulfate Hydroquinone Colorants and Synthetic Colors labeled as D&C and/or FD&C” . Our skin too, has also been accustomed to products with chemicals that have been proven to cause diseases, even burnt skin after some time of use, such as skin lighting products. Furthermore, different types of skin get impacted by the weather and change in the climate. This can result in speeding up the ageing process, and therefore it is vital to care for skin by keeping it nourished with the best nutrients. People with sensitive skin and hair find it difficult to find cosmetic products that do not have chemicals that may have adverse effects on their skin or hair, therefore they are desperate for natural care products that are nourishing, gentle and are fused to work well together. People would buy our products because they are all natural and therefore good for the skin and hair with minimal side effects if any at all, environmentally friendly and harvested in a sustainable manner. Our mission is to produce base products that are natural, nourishing, healing and pamper hair and skin of all types. "It is in the formulation of my products and the response of clients that I have found my entrepreneurial spirit. It is in my desire to want to create products that are impact driven, that will fuel this spirit." I have struggled with dry skin and hair since I started growing my natural hair in 1999. In that defining and exciting moment, I quickly learned that many of the products in stores were not created to meet my moisture hungry hair and skin. I transitioned into dreadlocks the year after and have continued to do my own hair since then. Twelve years and several travels locally and internationally later, I continued to struggle until I began to formulate products that would truly nourish my hair and skin. I wanted pure natural products that would leave a soft and silky smooth feel. The miracle oil that has stolen my heart is indigenous to my region of Southern Africa. The Marula Oils are like nothing I have felt before. Luxurious, silky smooth and comforting to the skin – a true skin and hair nourishment oil. After a year of formulation, Nyla naturals was finally launched on the 2nd of February 2015. I thoroughly enjoy formulating each product, knowing that the pureness of the premium Marula oil goes into each bottle, and produces high quality products that are loved by our clients. We are proud of our Nyla Naturals products! There is a huge gap in the market for a larger variety of additional products especially formulated for African hair and skin care. The distinct difference of ethnic hair and skin types require products that are formulated for, but not limited to, these specific types of hair and skins. Nyla Naturals has therefore formulated products that are focused on ultra-hydration, to promote healthy skin and hair maintenance to the different structures. The use of natural and organic ingredients has ensured that we offer our customers high quality products that do not contain harmful chemicals and still provide the most efficient nutrients. Our products are premium quality and offered at prices that are affordable to the target markets. Our main products are sustainable, support communities in Southern Africa [Marula oil], Kenya [fair trade coffee] and empower individual distributors of our products. We believe we offer an impact driven product, not only a profit driven product lines. "I thoroughly enjoy formulating each product, knowing that the pureness of the premium Marula oil goes into each bottle, and produces high quality products that are loved by our clients. We are proud of our Nyla Naturals products!" Our team comprises myself, Thokozile Mangwiro, the founder of Nyla Naturals. I am an IT professional with a Masters in IT, and I am responsible for all the product creation and administration for Nyla Naturals. The company’s Senior Sales Executive is my husband, who is a well-trained sales executive with an IT background and a business administration degree. The Channel Distribution Head is my brother, who brings his financial background to the company and heads distribution - he is also in his last year of his MBA. While working for Proctor and Gamble and Simba, he gained great experience in creating strong relationships with wholesalers and distributors. Online Marketing is my brother’s field, as he is a promoter for his organization and specializes on ‘ear to the ground’ activities and using online channels to attract people to events. Our Accountant is my brother who has a background in accounting and guides the company with financials and tax discussions. This team is the right team to run a stable organization, and there is an in-depth of work and business ethic. I come from an academic and corporate background. I have always understood the idea of entrepreneurship, however I was focused on my corporate career. Even known to be creative, I was taught that academia was the only path to fulfilling one's dreams. After my masters degree, I felt as though I was not reaching my full potential as a human being; as an African woman. My love for Africa is very deep and I felt I was not creating anything that contributed to it. It is in the formulation of my products and the response of clients that I have found my entrepreneurial spirit. It is in my desire to want to create products that are impact driven, that will fuel this spirit. "A start-up can be challenging to women who do not have a vision of what they are trying to accomplish. My advice to fellow entrepreneurs is to focus on their vision." We believe that our products sell themselves, therefore the goal is to get our products into as many hands as possible, then build trust with our customers. It is about the feel of the product, the scent, and the promise of good natural skin and hair health. Over the next few years we would like to create products according to customer needs – this will open doors to innovative ways of creating additional natural products that customers want. As we interact with more clients we realize that there are more skin and hair conditions out there that need attention. It is up to us to look for other naturally harvested oils that can be used to heal problems such as fungus in nails. The more ailments we understand and know, the more we work with herbal remedies that are suitable to treat them naturally. We intend to work hand in hand with research institutes and people in the field of natural healing to come up with the right oils or potions that would become synonymous with the name Nyla Naturals…this is part of the strategy to grow the brand. In 10 years’ time, we would want to be a distinct world brand that maintains high standards of natural sustainable products that promote healthy hair and skin. The emphasis at the moment is on deeply moisturising properties, however the healing properties are what our brand will be synonymous for. Our product range will continue to grow focusing on premium world oils that complement our base oils. Our focus will remain on skin and hair nourishment and Nyla Naturals is poised to diversify within the cosmetics industry. With Marula oils, we are able to create products for Babies [NN Baby] and Men [Beard, hair oils and beard oils]. #EntrepreneurAdvice: "Focusing on a strong vision will pull you through the emotional roller-coaster"
Formulating products for a specific need and having clients being receptive to these products is an amazing feeling. Knowing that my products make a difference to our clients’ bodies and hair is extremely satisfying. My wish is for every single person to experience Nyla Naturals Products. A start-up can be challenging to women who do not have a vision of what they are trying to accomplish. My advice to fellow entrepreneurs is to focus on their vision. Focusing on a strong vision will pull you through the emotional roller-coaster; it will pull you through the fear and doubt that will surely come. A strong vision will lead to the success of your business.